We begin by assigning a Partner-In-Charge and a Project Manager, a strategy that culminates in follow-through at every phase and assures immediate response to questions and suggestions. The Partner manages a team that produces the specific engineering required. The Project Manager is the primary liaison between Charlotte Engineers and the architect and ratifies the coordination of all systems, follows the project through the completion of construction, and serves as the client’s constant contact for day-to-day attention. In each phase of a project we stress communication. Our process is empirical. We do not skip steps. In short, we begin with the abstract and move to the quantifiable. The steps follow. In the preliminary design phase, we study the objectives of a project and develop design options. We try to make the best use of space and budget. For example, if working on the renovation of a hospital operating room, we begin by absorbing the objectives. We then create options to lay out systems cost effectively. 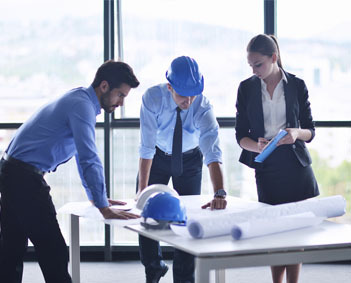 To make certain our premises are correct, we conduct a site investigation of the project. We talk to our client, whether architect or project manager, and, if appropriate, to department heads and hands-on technicians. We ask probing questions. We research codes and standards. We invest abundant time in this phase and have created our own phrase, Schedule-Forward Engineering, for assuring step-by-step quality. We consider this the most critical phase of our work. Time invested here returns savings in time and effort later. The advanced level of detail we provide allows construction estimates to be more accurate. Once we clearly understand goals, limitations, deadlines, budgets, and priorities, we design solutions; and we provide checkpoints throughout the design phase. Early on, we identify vertical and horizontal pathways for ductwork and piping and we incorporate sizing and specification so that costs can be estimated and vendors contacted; this early work is especially useful when clients prefer specific brands, systems or suppliers. Our construction documents detail the project for our construction, providing the framework for contractors to bid competitively. We use the most sophisticated software available to produce drawings. 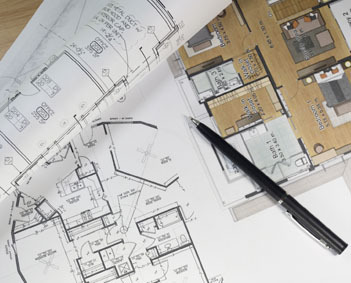 We design and draft simultaneously, and produce our projects in 3 dimensions using either REVIT or AutoCAD to pinpoint conflicts between trades prior to issuing documents. Construction documents leave our office with the initials of the project team, confirming that drawings have been scrutinized and corrected for coordination. We observe installations during construction, providing a level of confidence to owners and architects that design intent and specifications are met. We monitor the work of contractors, address engineering questions, and report back to our clients. After occupancy, it is our standard practice to visit the site at no charge to answer any questions. We value our relationships and strive for fully satisfied customers – we remain available as a resource for engineering questions.